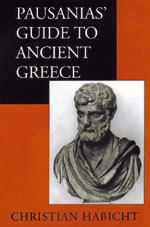 A Greek who lived in Asia Minor during the second century A.D., Pausanias traveled through Greece and wrote an invaluable description of its classical sites that is a treasure trove of information on archaeology, religion, history, and art. Although ignored during his own time, Pausanias is increasingly important in ours—to historians, tourists, and archaeologists. Christian Habicht offers a wide-ranging study of Pausanias' work and personality. He investigates his background, chronology, and methods, and also discusses Pausanias' value as a guide for modern scholars and travellers, his attitude toward the Roman world he lived in, and his reception among critics in modern times. A new preface summarizes the most recent scholarship. Christian Habicht is Professor at the School of Historical Studies, Institute for Advanced Study, Princeton. He is the author of Athens from Alexander to Antony (1997) and Cicero the Politician (1990).